To enable the Twitter OmniAuth provider you must register your application with Twitter. Twitter will generate a client ID and secret key for you to use. Sign in to Twitter Application Management. Agree to the “Developer Agreement”. Select “Update settings” at the bottom to save changes. Select the “Keys and Access Tokens” tab. You should now see an API key and API secret (see screenshot). Keep this page open as you continue configuration. 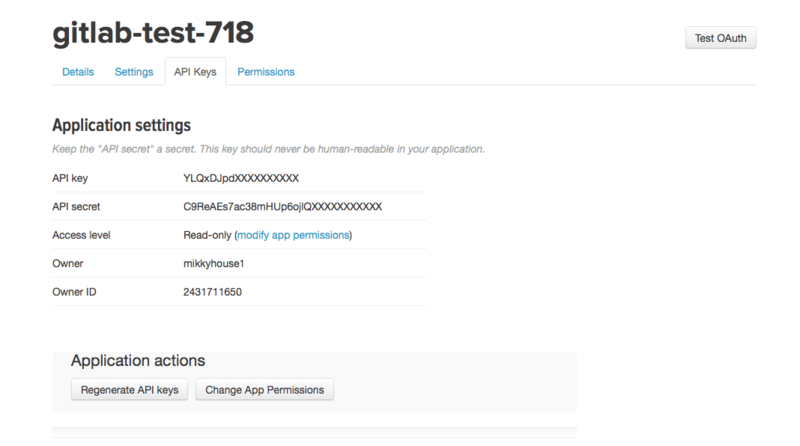 Change ‘YOUR_APP_ID’ to the API key from Twitter page in step 11. Change ‘YOUR_APP_SECRET’ to the API secret from the Twitter page in step 11. On the sign in page there should now be a Twitter icon below the regular sign in form. Click the icon to begin the authentication process. 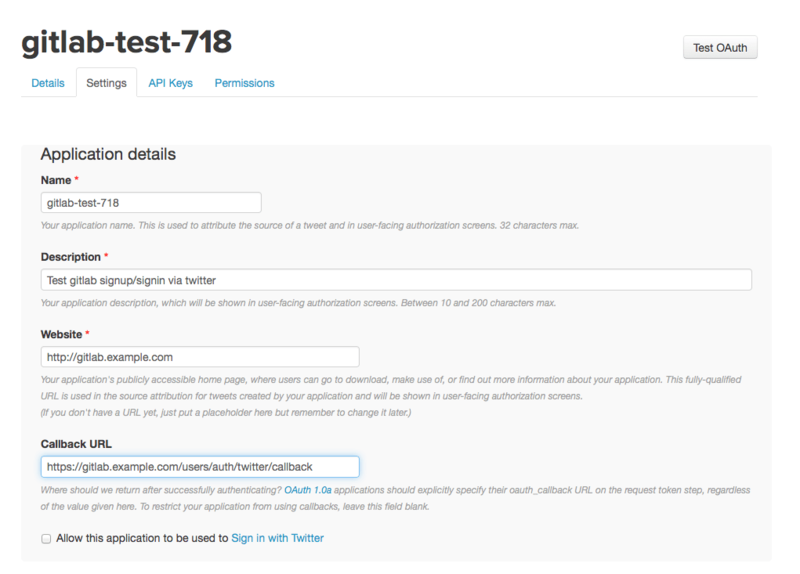 Twitter will ask the user to sign in and authorize the GitLab application. If everything goes well the user will be returned to GitLab and will be signed in.